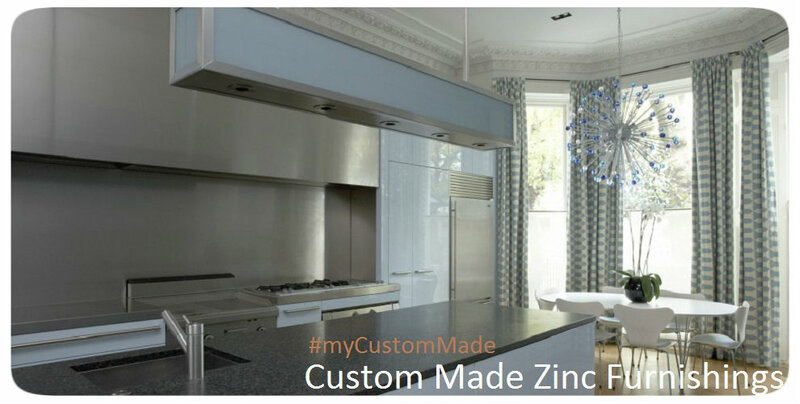 Click the button below to add the Zinc Range Hood "Montreal" to your wish list. Made of metal black range hood can be incororated into multitud of kitchen designs. Depending on the hammering technique or ordering smooth, the variety of the interior style applicable is unlimited. From country to ultra modern loft type for example. Like any other zinc range hood, model Montreal is avaialble in natural presentation as well. You select surface texture and color from the page menu. The black range hood on the photograph was produced distressed. It can be furnished with discount 200 CFM two speed fan (see additional image) or prepared for your own vent equipment. Choose coresponding option prior to proceeding to checkout. Estimated delivery with production is four weeks.